SACRAMENTO, CA—Freezing in a moment of complete panic after receiving an inbounds pass during a game against the Sacramento Kings, Oklahoma City Thunder shooting guard Russell Westbrook told reporters Tuesday night that he briefly forgot how to dribble after thinking about it too hard. 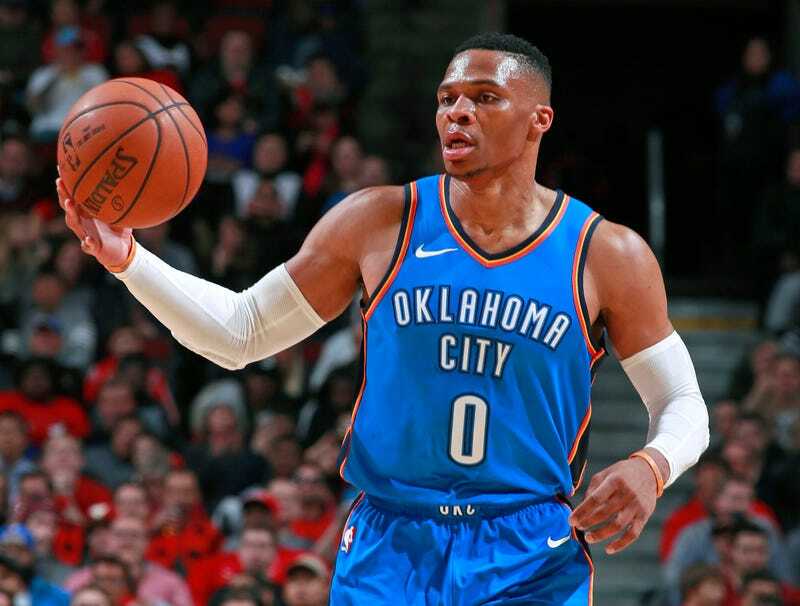 “I just really got in my own head and started second-guessing how I’m supposed to bounce the ball off the ground and back into my hand again,” said Westbrook, who admitted that he briefly even considered bending over and firmly pushing the ball into the ground with both hands. “When I realized just how automatic I’d been whenever I dribbled before, I just got freaked out even more. I’ve done it thousands of times, but the more I thought about how to dribble, the worse it got.” Westbrook then added that he hoped to avoid being asked to dribble anytime in the near future.